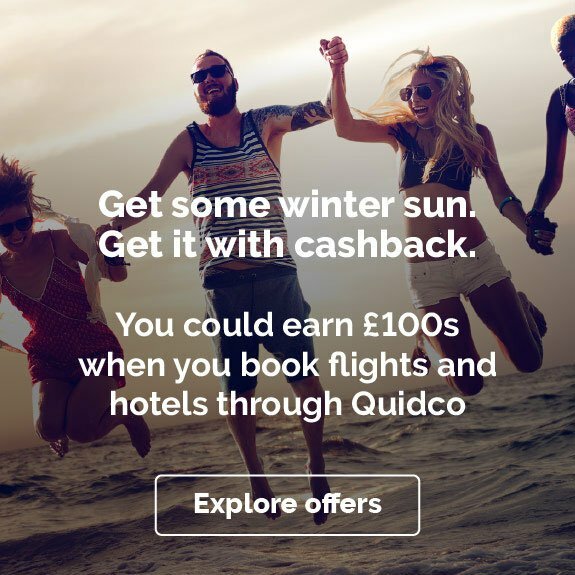 Earn cashback on all of your Boots purchases when you shop through Quidco’s cashback offer links. Make fantastic savings and find great deals when you shop online at Boots on their huge range of beauty and skincare, fragrances, electricals, gifts and toys. From starting out over 165 years ago as a chemist, Boots has become the largest pharmacy and beauty chain in the UK, offering unmissable deals on a huge range of products. So whether you need to refil your make up bag, find a new signature scent or pick up a gift for a loved one, head over to Boots through the links on this page. From Clinique to NYX and L’Oreal to their own No7 collection, Boots stocks your favourite make-up and beauty brands. Find gorgeous gift sets for the make-up fanatic in your family and must-have brushes and blenders to achieve your bold new look, all while earning cashback through Quidco. Whether you’re looking for those everyday essentials to replenish your make-up bag or want to shake up your look for a big night out, you’ll find exactly what you’re looking for in Boots’ huge range of premium beauty brands. You could go for a natural-looking glow with Boots’ choice of Clinique primers, foundations and highlighters, like the Clinique Pore Refining Solutions Instant Perfector or the Chubby Stick Sculpting Highlight. Or maybe go for old school Hollywood glamour with a pop of rich lip colour from L’Oreal’s Color Riche lipsticks and limited edition Lip Kits. You’ll also find the perfect gift with beauty brands like NYX at Boots. Choose from sculpting palettes for the contour pros in your life to NYX Lip Vault sets to give to a special someone. Boots’ exclusive No7 brand offers everything from skincare and moisturisers, ideal for your everyday skincare routine, through to make-up and gift sets. There’s even a huge range of No7 anti-aging products designed for both women and men, like No7 Restore & Renew Face & Neck Multi Action Serum for women and No7 Men Anti Ageing Balm. 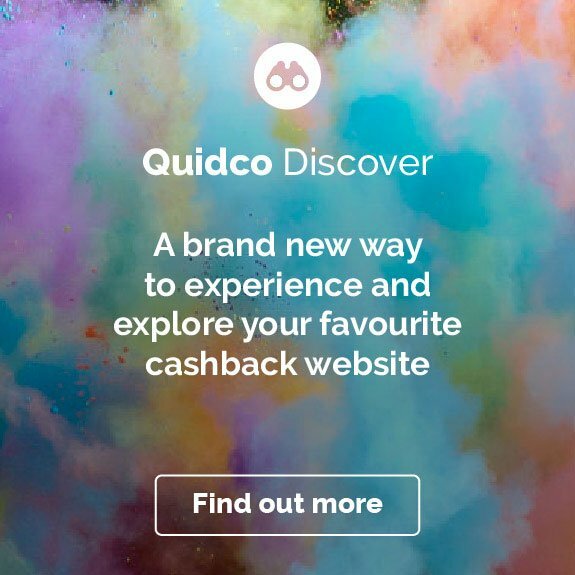 To bag a bargain on Boots’ No7 range, keep checking this page for Quidco offers and deals that could earn you cashback as you shop. Stock your beauty bag like a professional make-up artist with brushes, blenders and brow shaping sets at Boots. You’ll find something to suit your budget and style, with everything from precision sponge and silicone blenders for even foundation coverage to eye make-up brushes perfect for shading that smoky eye during the party season. Boots is also great for buying the basics, so if you need a classic compact to use on the go or want a quirky new make-up mirror to match your mood, you’ll find everything in one place. But once you’ve kitted out your make-up bag, don’t forget to check out Boots’ range of brush cleaners to keep your skin and your new tools looking their best. There’s also loads of great make-up deals to look out for at Boots, like 3-for-2 Mix and Match and buy one and get a second for half the price on beauty accessories. 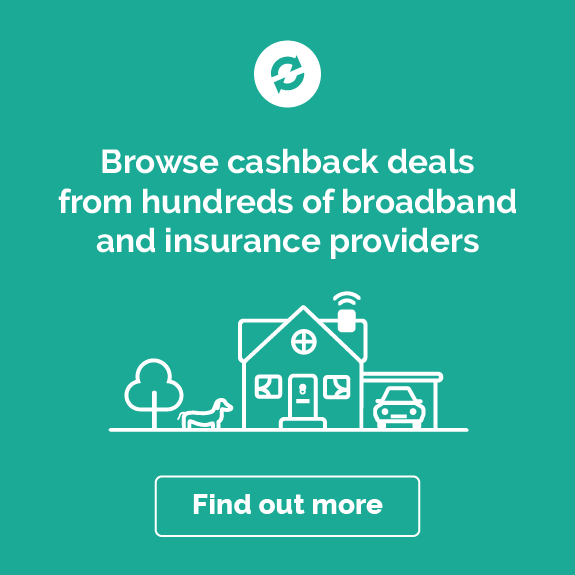 But remember, cashback can’t be claimed in conjunction with other offers, unless it’s otherwise listed on this page, so double check before making a purchase. As well as ticking off everything on your beauty wish list, Boots’ vitamins and supplements range is huge. From women’s pregnancy vitamins and supplements to vitamin D tablets and gummies for kids to 50+ multivitamins, Boots has got all ages covered. Whatever support you or your family need, you’ll find both big name brands – like Seven Seas, Swisse, Centrum, Wellman and Wellwoman – and Boots Pharmaceuticals all on the online store. Although you’ll be spoilt for choice in their health and beauty ranges, finding what you need is simple and straightforward on Boots’ easy to navigate online store. It’s flexible too, as you can opt to get the product delivered straight to your door or order and collect in-store at over 2,200 Boots branches. When you order online, their delivery options include Standard Delivery, Next Day Delivery, Named Day Delivery or Saturday Delivery, which costs an additional £5.50. To find out more about Boots’ delivery options, visit their customer service and delivery information page. You can also find additional delivery queries in their FAQs page, plus ask questions such as ‘how to cancel a Boots order’ and discover more about their online returns policy. What is Boots’ online returns policy? You can return make-up to Boots if the product is faulty. The same also applies for medicines, food and personalised gifts. For most items however, you can return them to any Boots store within 35 days of receiving that order to get a refund or replacement. Alternatively, you can return any unwanted items free of charge using the returns label that’s attached to the invoice in your order – Boots can’t exchange those items however. To get a refund, gift card or to exchange an item in-store within the 35 days, you need proof of purchase. If you try to return something without a receipt, Boots will offer you an exchange or gift card at the price you paid for that product. To find out more about Boots’ returns policy, visit their online help and FAQs page. Boots Pharmacy online has a huge selection of treatments and medicines to help remedy a whole host of ailments and irritations. At their online store, they even offer prescription services for both NHS repeat and one-off prescriptions. You can also access Boots Opticians online to book your next eye test or browse the latest frames. An eye test at Boots costs just £25, but some people, such as children under 16, qualify for a free eye test. In some cases, people that are eligible for free eye tests can also receive help towards the cost of their glasses and contact lenses at Boots too. You can find out if you or your family members are eligible by visiting Boots’ FAQs and help pages. To book an eye test, contact lens check or to arrange a free contact lens trial simply visit Boots online. You can also browse Boots’ impressive range of men’s, women’s and children’s glasses on their website too. So whether you’re going for designer frames, like Ray-Ban and Marc Jacobs, prescription shades or some of Boots’ stylish own-brand glasses, you can get inspiration before you even book your appointment. Boots Pharmacy stocks thousands of health and wellbeing products online. You can find big brands – like Scholl for foot care, Vicks and Beechams for cold and flu and Optrex for eye care – plus Boots Pharmaceuticals’ huge range of products. You can even order travel essentials from flight socks to insect repellents to make sure your holiday goes without a hitch. Your entire pharmacy experience is made so much more convenient with Boots. If you have an NHS or private prescription, either for one-off medicine or a repeat NHS prescription, you can order online and collect in-store. Or, if you’re unable to get to the pharmacy, simply have your medication delivered to your home or local post office. Boots also has late night pharmacies located around the UK, with some open as late as midnight. Remember taking the films of your holiday snaps into Boots to get them developed? Now you can do the whole thing online and get your photos delivered to you or collect in-store. If you sign up to Boots Photo, you can upload images from your device, Facebook, Instagram and Flickr by selecting Add Photos from the menu. You can select print sizes, from standard photo prints to specialised wall art, books, calendars and even photo blankets that will make a really unique gift for any special occasion. Standard print prices are clearly labeled, and for special projects like personalised cushions, you can pick from a price menu to suit your budget. They even offer Same Day Collect on some standard prints, so you can pick up snaps of your treasured memories in a flash. If you have a query about a product you’ve ordered from Boots, it’s easy to get in touch. Visit their Customer Service page where you’ll find dedicated phone numbers for the pharmacy, the opticians and the Advantage Card team so that you get through to the right people that can deal with your request as quickly as possible. Is it easier to contact Boots Customer Service by phone or email? Rather than supplying one general email address, you can contact Boots by filling in a short form. This gives you the option to tick from a list of queries so the most relevant department can deal with your request. Boots aims to respond in two working days, but it can take longer during busier periods. So if your query is slightly more urgent, get in touch via one of the suggested phone numbers to be put through to a specific team. Finding your nearest Boots store and its opening hours is easy. Simply click on the Find a store link at the top of every page and then either enter your postcode or enable location services on your device to locate the closest branch. You can view your results on a map view to pinpoint the stores nearby or view them in list mode. This gives you the distance to that store, and when you click Store Details you can view opening times, including special opening hours for upcoming holidays or over Christmas. So if you need to pick up an all-important delivery from your local Boots, check the opening hours beforehand to avoid any disappointment on the day of collection. The Boots Advantage Card rewards you with points when you shop online or in-store. You get four points for every £1 on almost all purchases. Just insert your card at checkout in-store or add your Advantage Card number at checkout if you’re shopping at Boots online. Once you’ve collected enough points, you can treat yourself to a little something extra – maybe perfume from one of the many premium fragrance brands, like Chanel, Dior or Jimmy Choo, or how about some luxury skincare for a pampering session? Every time you log into your Advantage Card account online, you can check the points on your card and how much money those points are worth. If your card is lost or stolen, once you’ve logged in to your account you can request a replacement, then the existing balance you have will be transferred onto the new card. Before ordering a new card though, make sure that Boots has your most up to date address so they can deliver your new card. Should you need to change your address, click on personal information in your Advantage Card account. If you want to shop for new beauty products from hundreds of top brands, discover your next holy grail skincare hero, or pick up some bathroom essentials, then head to boots.com. 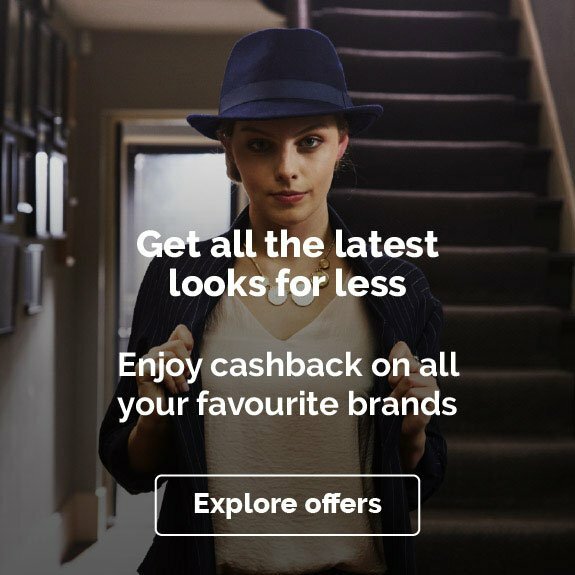 Shop via the links on this page and you’ll earn cashback on all your purchases, plus when we have special discount and voucher codes, you can save even more money. Check back on this page next time you need some new beauty and skincare bits to see if there are any Boots discount or voucher codes. 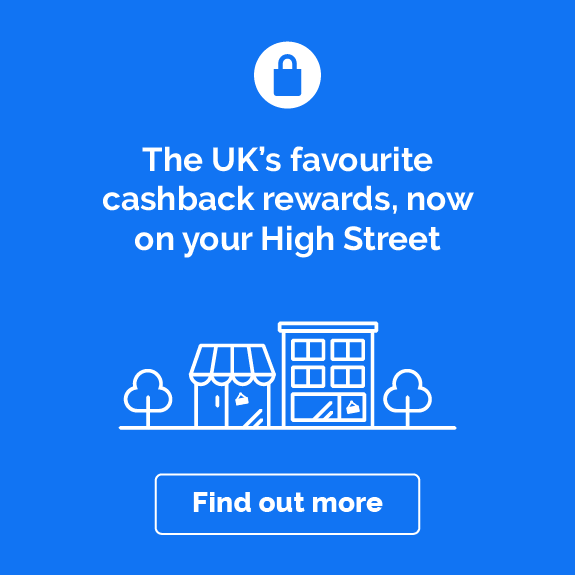 To make sure that you still earn cashback whilst you shop, please use only the voucher codes and discount codes on this page, as any others may invalidate your cashback.